Lisa Sanders has been passionately and successfully selling real estate for over a decade, averaging at least 50 homes per year and being recognized as a consistent top performer in the Chicago area. She has been named a Top Producer by the Chicago Association of Realtors (CAR) every year since 2007, and has also been distinguished as the #1 Realtor—based on homes sold—for the neighborhoods of Norwood Park and Jefferson Park. She has also achieved CAR’s Silver Level for total sales volume and Bronze Level for total units sold. Lisa is proud to do business throughout the city and surrounding suburbs, offering particular knowledge of the housing markets in the north and northwest sides--including Norwood Park, Old Norwood, Edison Park, Jefferson Park, Portage Park, Edgebrook, Wildwood, Sauganash, Rogers Park, Edgewater, North Center, Ravenswood Manor, Lincoln Square, Mayfair, and Old Irving Park. She excels at providing her clients with both expertise and superb customer service, which has earned her the Five Star Professional Award for exceptional client satisfaction for the past five years. Lisa brings a host of different skills to her work as a broker. She holds a degree in public relations and marketing from Iowa State University, giving her insight into the best strategies for promoting a listing to potential buyers. In addition, her work in telecommunication sales after college gave her valuable experience in working with the public. Lisa strives to work efficiently and advocate for her clients’ best interests every step of the way, treating them with honesty, empathy, and appreciation. She knows how to develop the right combination of price and presentation that attracts great offers for a listing, and her 99.6% list-to-sale average is a testament to her talents. 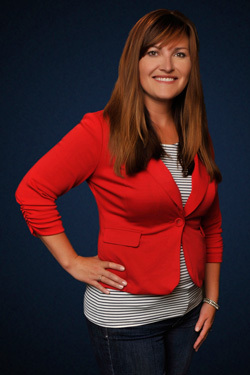 Lisa also embraces a culture of teamwork and making connections, actively helping other brokers in her company to succeed and enjoying the benefits of the network she’s cultivated. Lisa is an active member of her community, participating in numerous charities. She supports several types of local school events, and is a committed sponsor of the New Hope Food Pantry, helping to feed those in need on the northwest side of Chicago. Focusing her efforts on the areas in which she lives and works, Lisa is a member of several community organizations and a regular festival sponsor—which has included work with the Norwood Park Chamber, Edison Park Chamber, Edison Park Fest, and the Norwood Park Fall Fest. She has also been a volunteer with the CAR Ethics Board. She and her husband, who she met at Iowa State, are both dedicated sports enthusiasts—her having been a sprinter and team captain, and him a football team captain—and today she happily sponsors local little leagues for baseball and softball organizations. When Lisa is not helping her clients sell their current home or find their dream home, Lisa enjoys her "downtime," barbecuing with friends, dancing, watching her favorite HBO shows, and vacationing with family.